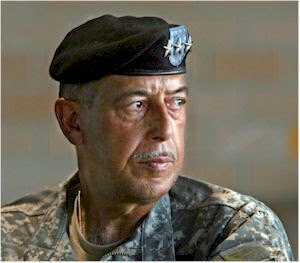 Retired Lt. General Russel L. Honoré will speak with 300 youth attending the Family and Youth Expo at 2pm tomorrow in the Southern University Smith-Brown Memorial Union. At 6 p.m. today, youth will get acquainted and enjoy Funtastic activities on the grounds of the Southern University Ag Center. Educational seminars and workshops on technology, hand washing, juvenile justice, 4H, poultry, bullying, and making scent bars will be held through out the day tomorrow. Honoré will keynote the general assembly, delivering a message on the expo theme: “Inspiring Youth with Tools for Achieving Excellence”. For more information, contact Burke, youth development specialist, at the Southern University Ag Center, (225) 771-2242, or visit www.suagcenter.com.